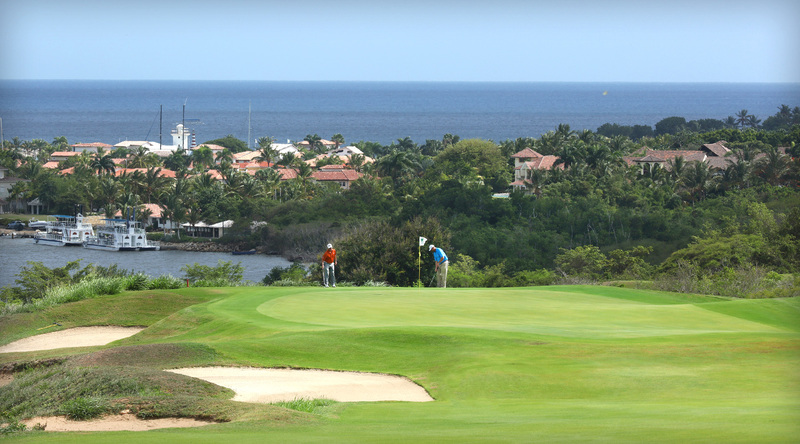 Let’s talk numbers: 27 holes; 7,740 yards long; 7 cliff-side holes dropping 300 feet to the Chavón River below; and breathtaking 360 views. 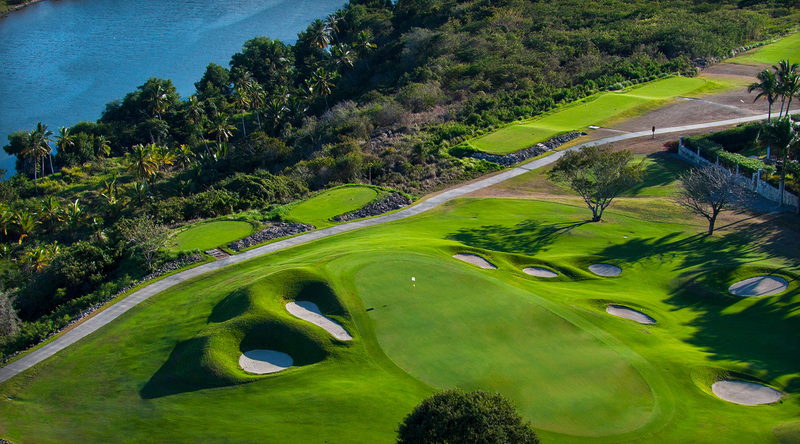 By our calculations Pete Dye’s masterpiece, Dye Fore, has a winning formula. 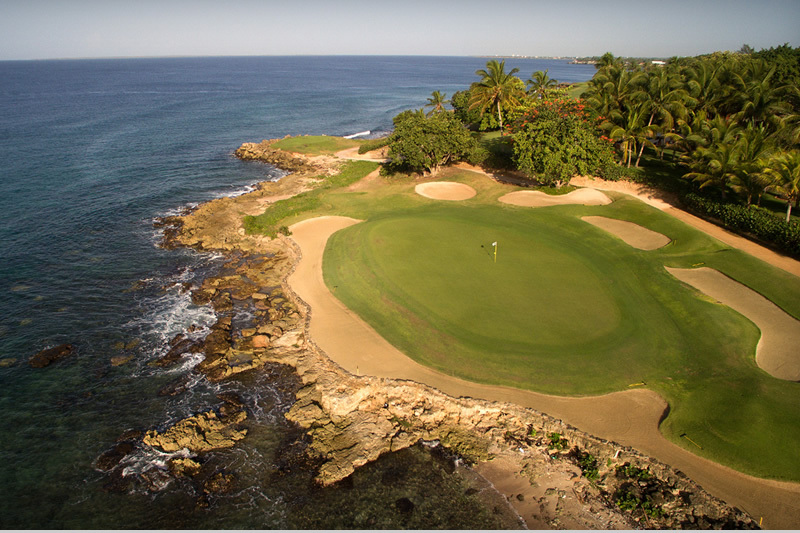 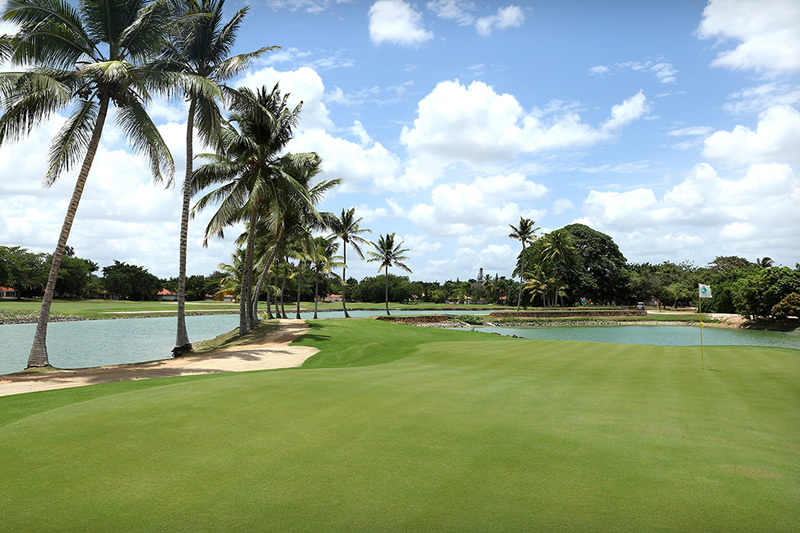 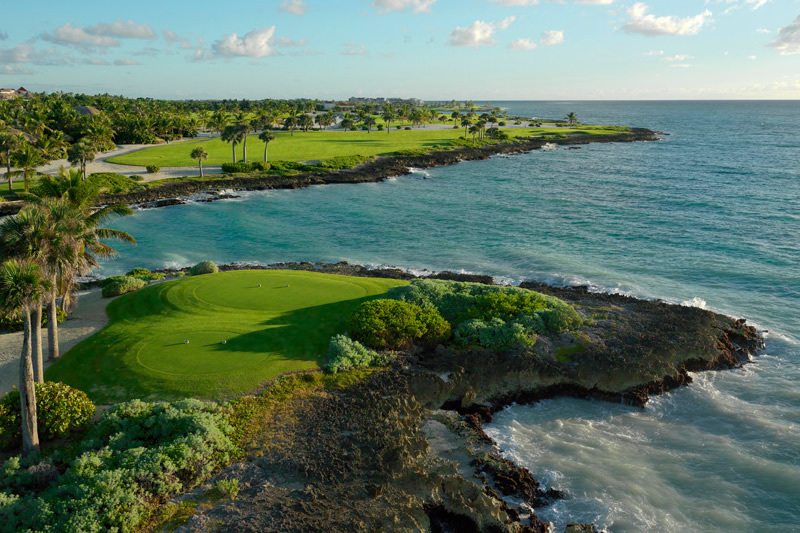 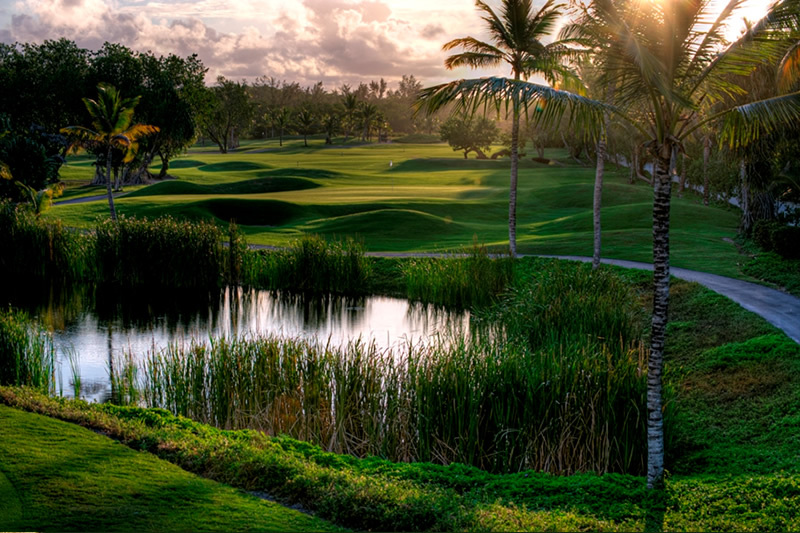 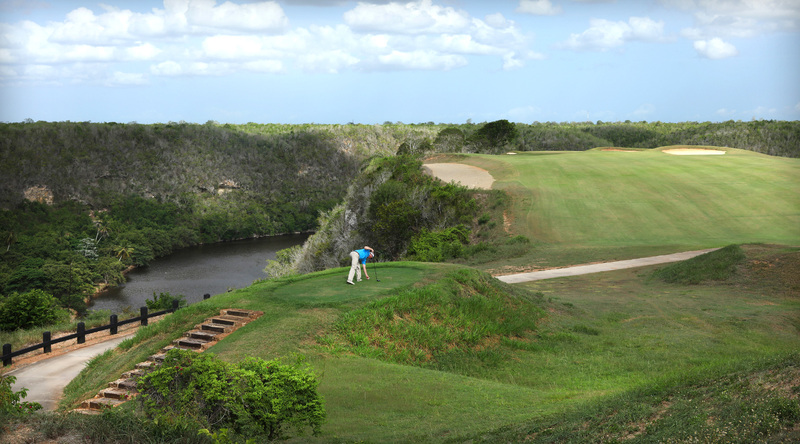 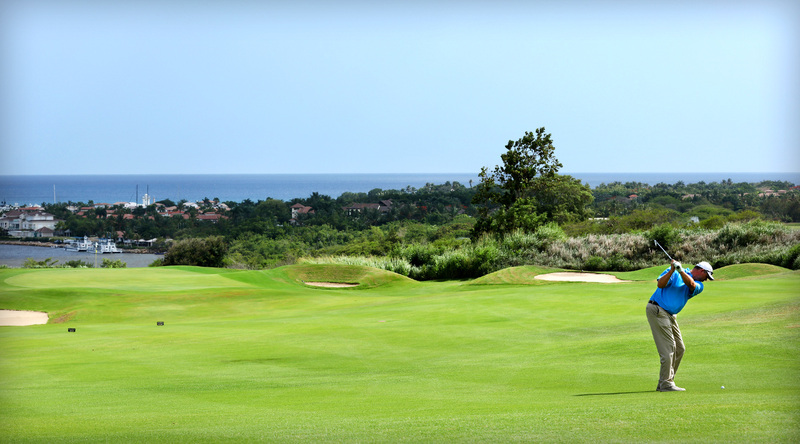 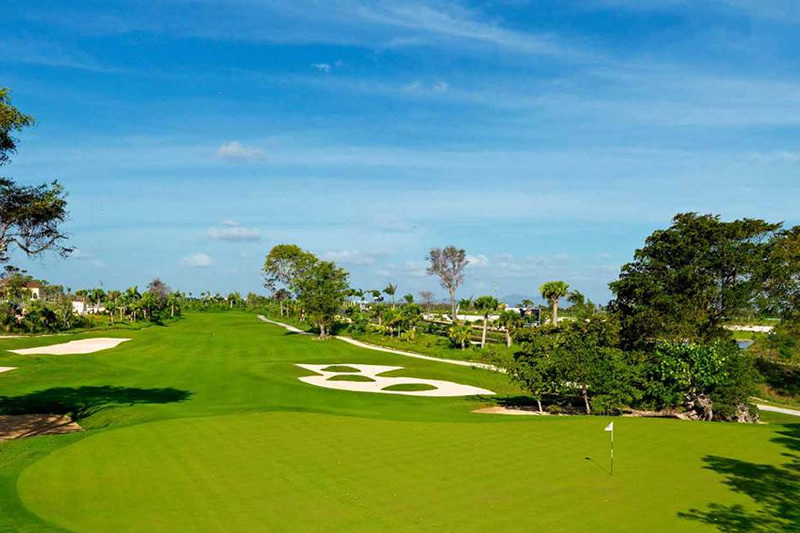 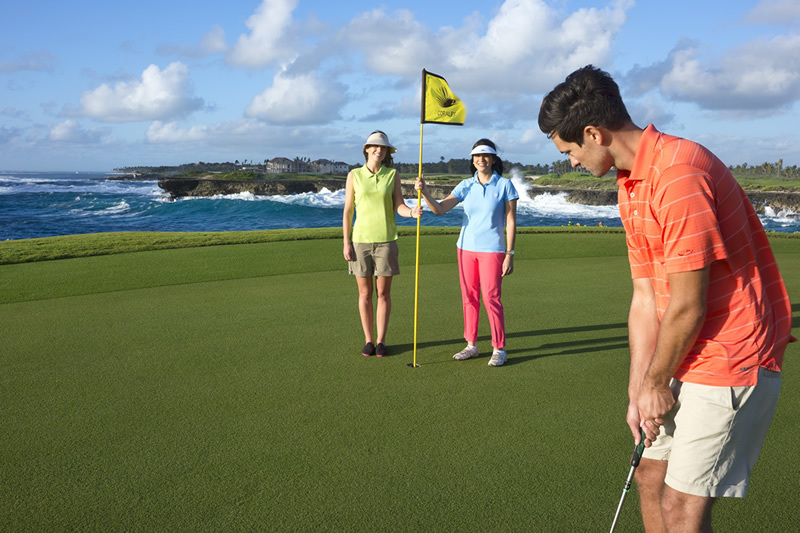 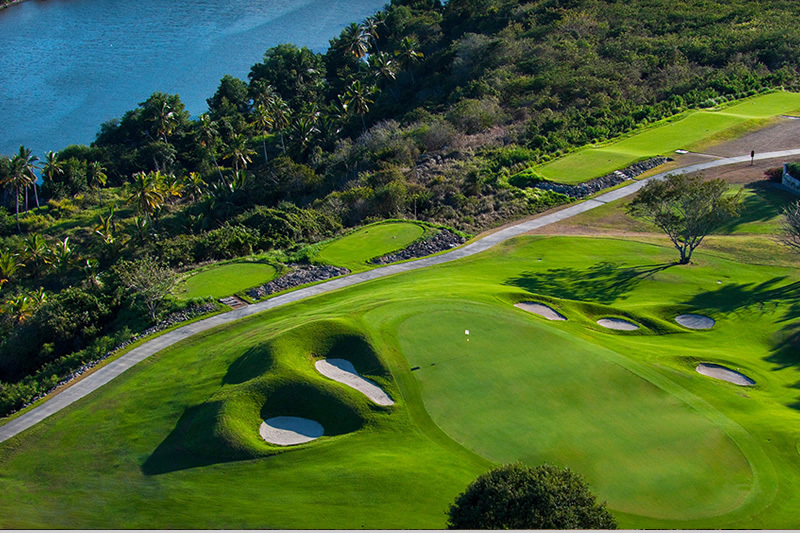 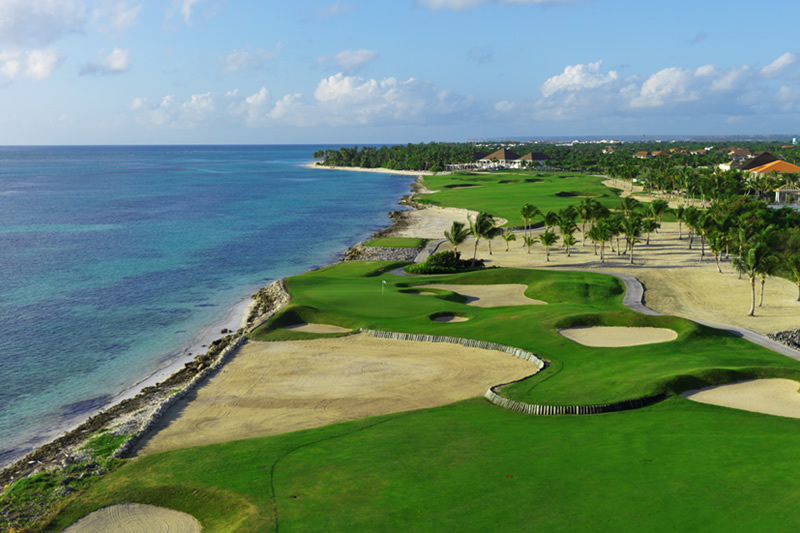 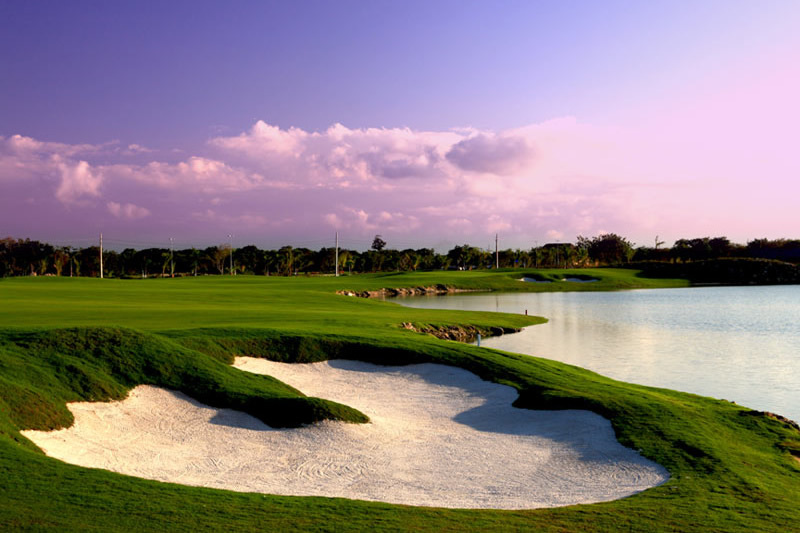 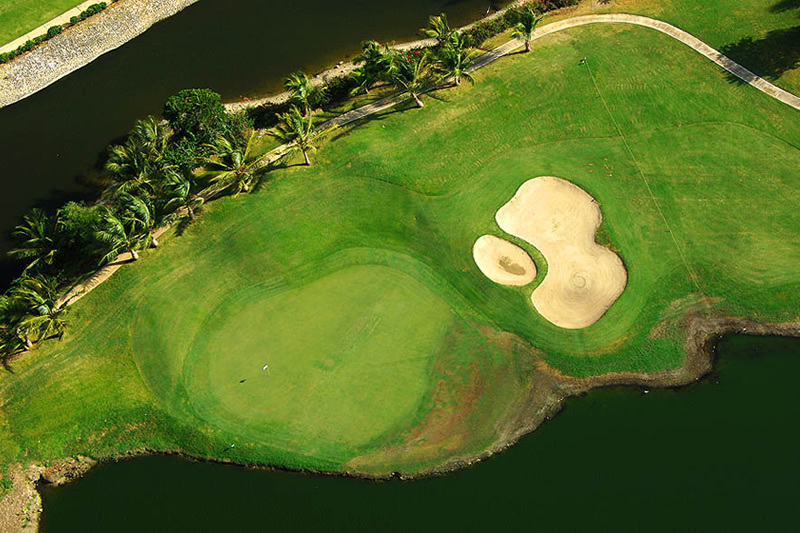 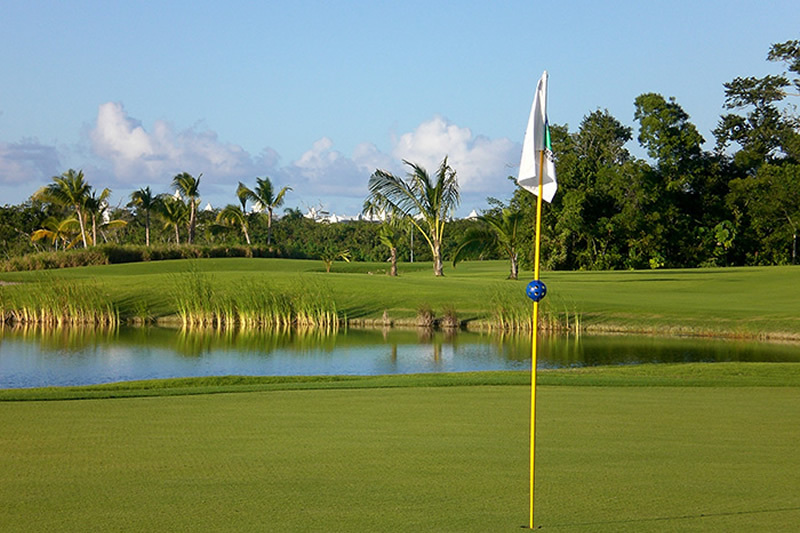 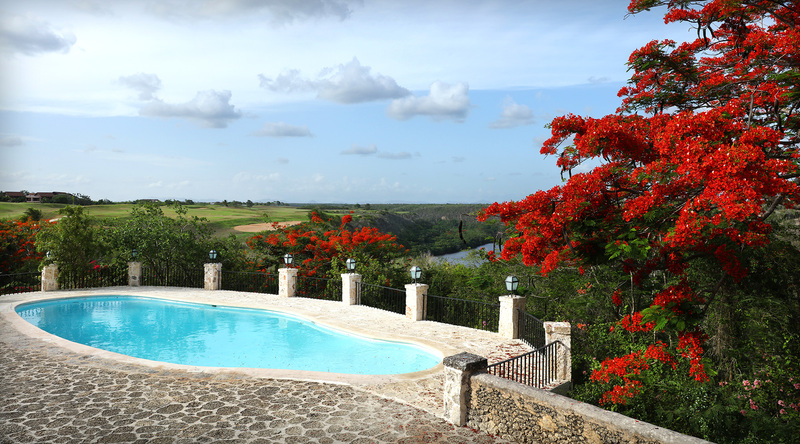 Characterized by spectacular views of the Dominican mountains, the Chavón River, the Marina, and Altos de Chavón, this challenging cliff-side course is a delight for players of all levels. 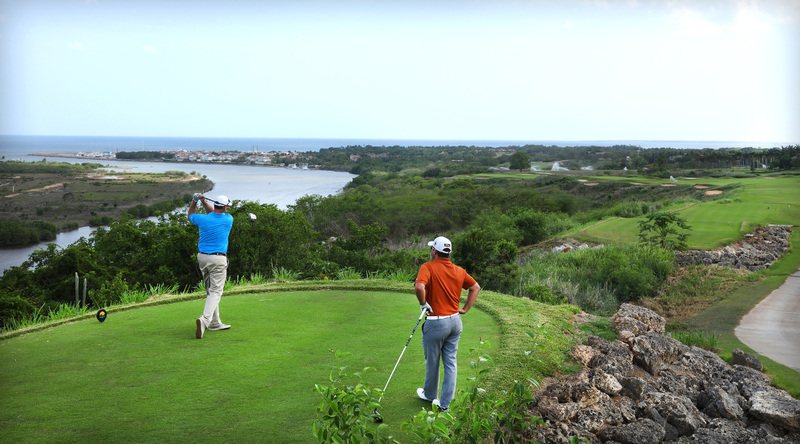 Now some more numbers for you: 12 and 15—two of the greatest par three holes in the world; 5 the amount of holes on the Lagos course with lakes in play; and 1 the number of strokes it takes to get started on the round of a lifetime.